Ever wonder why people in old movies talk funny? YouTube page BrainStuff has a short video that explains just what that “old-timey” way of speaking—dropping the “R” at the end of words and using softer British vowels­—is and where it came from. The Transatlantic accent—or Mid-Atlantic accent—is not quite American and not quite British and according to the clip, that’s why Hollywood loved it (already considering that global box office take). 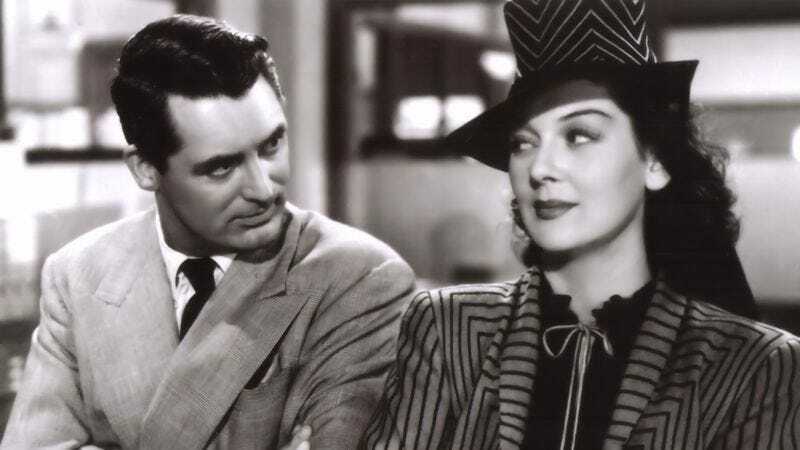 This particular manner of speaking can be heard prominently in many newsreels and films from the ’30s and ’40s as a result; the YouTube clip uses a scene from Howard Hawks’ His Girl Friday—featuring Cary Grant and Rosalind Russell—as a prime example. The Transatlantic accent started falling out of favor in the U.S. after World War II, when fewer teachers continued teaching the pronunciation style. Perhaps it’s presumptuous that Transatlantic pronunciation will make a comeback. With China’s growing Hollywood dominance, it can be presumed in a few short years, a Transpacific form of pronunciation will find its way into movies.